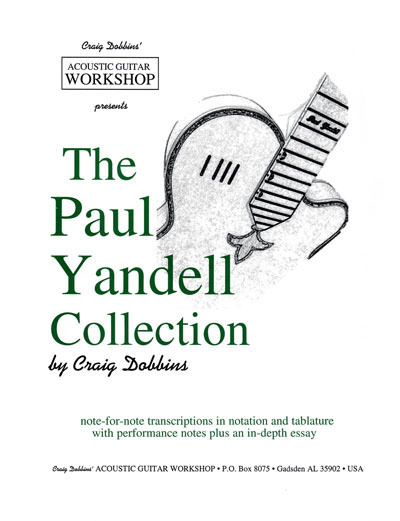 This collection features 10 great Paul Yandell originals from his solo CDs Forever Chet, One More Again, Dream Train and In The Groove, transcribed by Craig Dobbins. In notation and tab, with background notes from Paul, plus performance tips and chord diagrams. Tributes from Jerry Reed, Fred Gretsch, Steve Wariner and Kirk Sand. CD includes the original recordings of all 10 tunes transcribed in the book.